Alex was formerly a CEO of two community based third sector social care organisations in Glasgow. He also spent many years working in the addiction services in the city and has just recently retired. Despite this he still provides a consultancy on social care and community based issues. Alex’s main interest is writing, and he has had several non-fiction pieces published in newspapers and journals which have been related to his work and career. 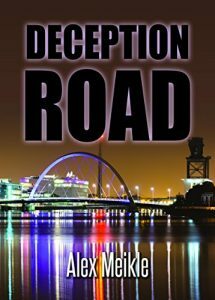 Alex published his first novel Deception Road which is a political thriller set in Glasgow last year. It is available on Amazon. 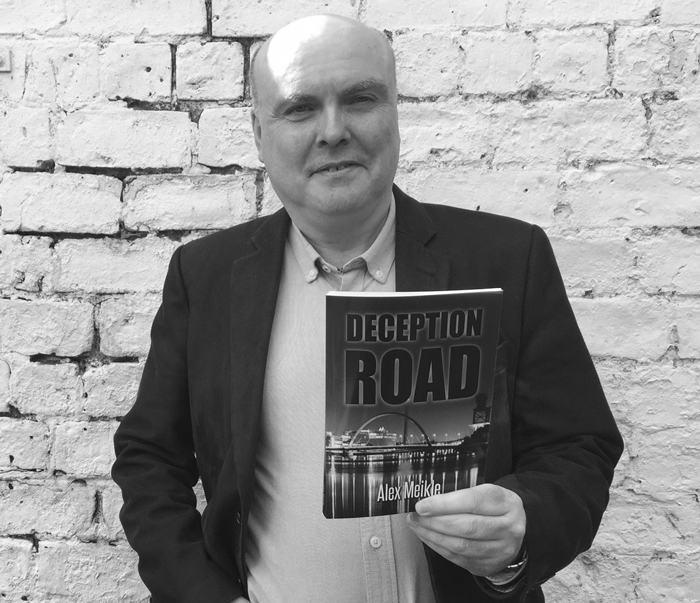 Deception Road is the first of a four-part projected quartet of novels centred on the career of MI5 officer, Eddie Macintyre. The second novel in the quartet, Caledonia Snack, will be released this year. The third and fourth novels in the series, Holy Loch and Enchantment and Conspiracy will be published within the next year. Each book focuses on particular operations which Eddie has been involved in over the past thirty years. 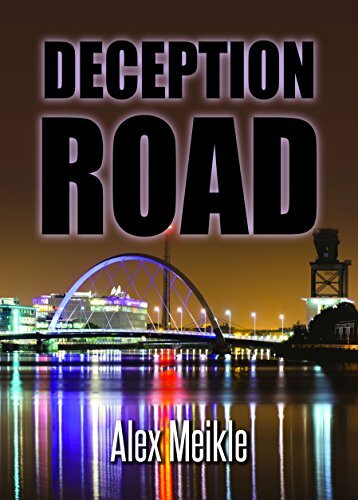 Deception Road is set in the present day while Caledonia Smack is set in the early 1990s and centres on drugs, gun, spooks and Irish paramilitaries in Glasgow. Holy Loch is about a Soviet spy ring at the old US nuclear submarine base in Scotland at the end of the Cold War in the late 1980s and finally Enchantment and Conspiracy is set against the background of Eddie being recruited to act as an informer for MI5 on the far left in Glasgow in the late 70s before he became an actual agent for them. Essentially, the quartet is a biography of Eddie based on a few key episodes of his life in the secret world. Alex also writes a regular blog and various other pieces, mostly but exclusively about the world of intelligence and its impact on all of us which he will be posting regularly on the website. A Police and MI5 raid on a flat in Glasgow led by MI5 officer, Eddie McIntyre, intended to capture a senior IRA commander meeting with a Glasgow drug gang leader, finds instead seven people dead from heroin overdoses. Against the background of the developing Northern Irish peace process in the early 1990s, an MI5 plot to entrap the IRA with a vicious Glasgow drugs gang leads to gang warfare, overdoses and Eddie’s efforts to extricate himself from the chaos that is unleashed. A strong plot, anchored in convincing political, psychological and technical detail. Don't know if Meikle is ex-Secret Service - but it all rings true! This is gripping stuff – an engaging story very well told. It could be made into an excellent film. The action is exciting and the scenarios are inventive and interesting. I look forward to reading more from this exciting new novelist. BATTLEFIELD: TOUGH NAME FOR COMFORTABLE SUBURBIA!